Increase your scope with the JCM-7000 benchtop SEM. 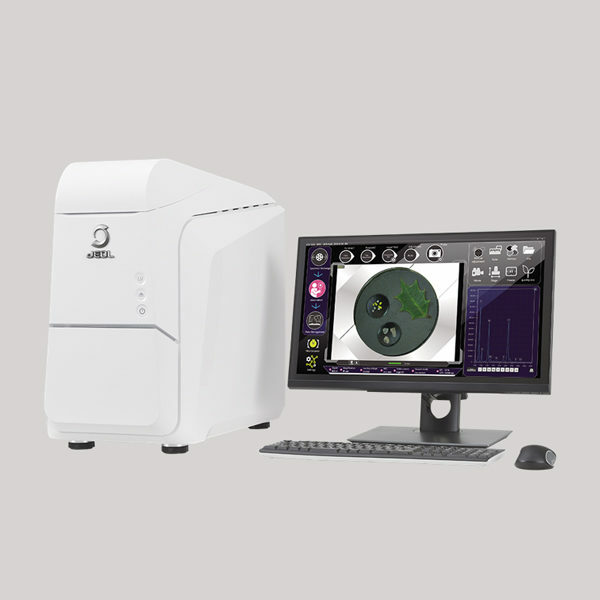 The perfect complement to light microscopy, this compact instrument with a magnification range of 10X – 100,000X gives you the power of scanning electron microscopy in a convenient package. Equipped with a large sample chamber, both high and low vacuum modes of operation, both secondary and backscatter electron detectors, real-time 3D imaging, easy to use metrology tools, and optional fully-integrated energy dispersive X-ray (EDS), the JCM-7000 NeoScope is smart, flexible, and powerful. Zeromag provides a seamless, automatic transition from the holder image to the live SEM image. Utilizing 4 quadrants of this all new BSE allows for live 3D imaging and supports 3D surface reconstruction and analysis (Smile View Map/ Digital Surf Mountains Map). With the EDS option, our 6-channel, high sensitivity, solid state backscatter electron detector acquires composition, topographic and shadow (combination of composition and topography) images, and supports live 3D imaging. For over 50 years, McCrone Microscopes & Accessories has remained the industry expert. Let us power up your benchtop to give you remarkable images of protein structures, nano particles and stress fractures.